WHY DOES YOUR FURNACE INSTALLATION TECHNICIAN MATTER? You can pay top dollar for the best of the best furnace or hot water heater, but what good is a top-rated brand like Lennox if your technician does a shoddy job or isn’t up to code? Serving both residential homes and Calgary’s commercial businesses, Harmony believes that when it comes to long-term performance and reliability for heating, cooling, ventilation, and plumbing solutions, the installation means everything. It’s safe to say not all technicians and installation jobs are created equally. At Harmony, we hire the best, most knowledgeable, solution and service focused technicians. We believe in quality and efficiency in all installation and repair jobs, aiming to set-up your systems with clean and easy accessibility that doesn’t take up a lot of space in your home or business. We pride ourselves on being able to fix heating and cooling problems on all makes and models thanks to years of experience and education. There’s no job we cannot handle! We know your time is valuable and that your home (or business) is your special space, and our heating and cooling technicians are notably quick, clean, and polite. But don’t take it from us, read real reviews from real customers, left on Google, Facebook, Homestars, and the Better Business Bureau. We also offer amazing warranties and financing options, so you can upgrade without paying for an entire year! Now that’s a deal that matters. Click here to learn more about Home Depot and SNAP financing, or call us directly for more information. In the end, installation is just as, if not more important than the brand and model that you choose. 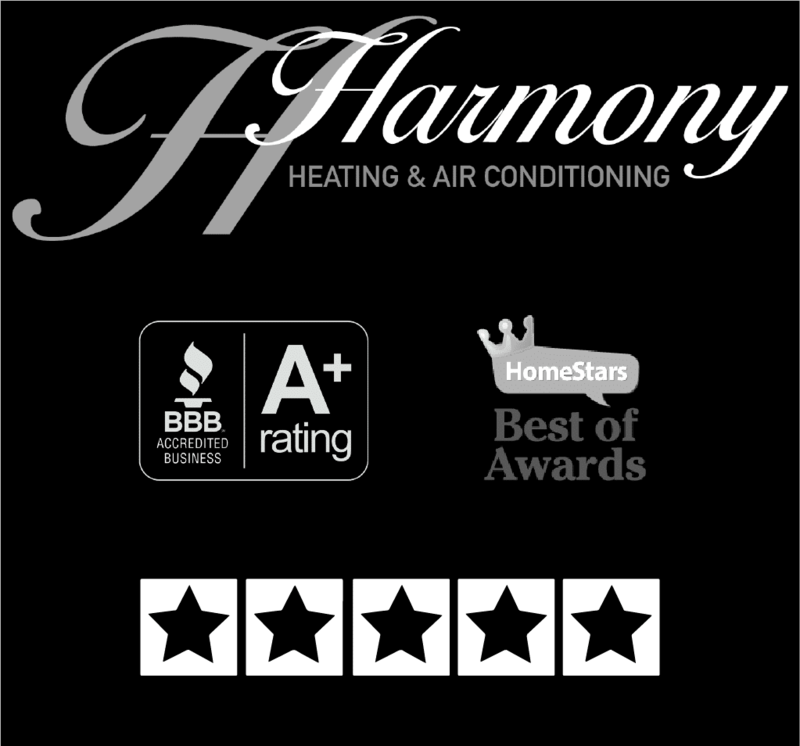 Choose local experts, like Harmony, who are top-rated by Calgarians for heating, cooling, ventilation, plumbing, and gas-fitting.